Learn what a daily Tarot reading ritual can do for you! The things you do every day are the things that can impact your life the most. Through our daily rituals and routines, we create a sense of consistency and mindfulness that helps keep us centered when negative emotions, sudden developments, and surprise circumstances come up that could knock us off kilter. Yoga, meditation, prayer, cooking, exercise ... these are all great rituals that, when done daily, can create a real sense of health, stability, and purpose for you. But perhaps one of the most beneficial daily rituals of all is a daily Tarot reading! Any Tarot reading can provide an incredible amount of insight and understanding into whatever situation you're facing. 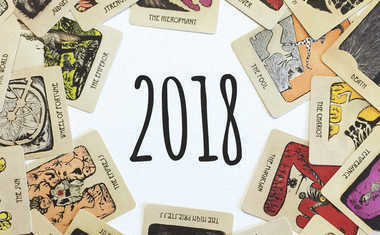 But daily Tarot readings go even further -- by identifying the cards and messages that come up for you on a regular basis, start to realize the patterns in your life, the things that affect you most frequently, and all the ways you tend to react. When you can identify these patterns, you have all the power to embrace them or change them! We've all had those days when we wake up late, throw ourselves together, and stumble into our routine unprepared and unfocused. The problem is, those days usually don't smooth out. The way you start your day -- are you eager or are you exhausted? Optimistic or pessimistic? Open or closed off? -- can totally dictate the day you have. You cannot control everything that will come up, but you can control the way you move through it. Pausing to set intentions for the day through a daily Tarot reading grounds your heart and mind so you enter every situation that arises with clarity and mindfulness. It's easy to compartmentalize our days, taking everything that happens from morning to night and tucking it away, in order to start fresh the next day. But when we look at each day as isolated from all the rest, we limit our ability to see the big picture of what's happening in our lives. One little regret here, one little reward there may not seem like much. But when you start to realize a pattern of regret or a pattern of reward, you can start to see the reason these things recur, which gives you all the power to create more reward and less regret in the future. Living in the moment is NOT easy. Fears, problems, and heartaches from the past -- whether years ago or just days ago -- are hard to ignore. Not to mention hopes and expectations for the future... But when you spend all your time in the past and the future, you miss everything that's happening in the present moment. 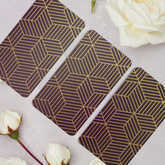 A daily Tarot reading ritual establishes a time to reconnect with yourself every day, in this exact moment, and identify the things that are affecting you most NOW. When you draw the cards for your Tarot reading, be intentional and tune into your intuition. It is your subconscious that knows which cards to pull, because it knows which messages you need to be hear. Sometimes our conscious minds are so full of trivial matters that we cannot see what we really need to see, making it tough to make any healthy decisions for ourselves. A daily Tarot reading helps you clear out the clutter of your daily life so you see what lies before you with greater clarity. Whether you're experiencing a specific, heartfelt loss or change or you're just feeling totally crazed out of your mind, a daily Tarot reading helps you not just with a one-time piece of advice, but with regular, recurring help through your process of healing. By meditating on the wisdom you receive from a reading, you'll not only find clarity in your present situation, but a deeper sense of peace and calm in your daily life. And when the next issue arises -- because you know it will! -- you'll be able to face it head-on using your greatest weapon: a healthy, centered mindset. Many people read their horoscope or do a Tarot reading first thing in the morning, to set the tone for the day. But have you ever had a day that started out one way, then took a serious turn? Of course you have ... we all have! That's why not just one, but THREE Tarot readings a day can be so beneficial. You can not only set intentions for your day, but as circumstances arise throughout the day, you can check back in with another reading for more immediate, focused insight.